It’s the most wonderful time of the year – National Burger Month is here! I’m super excited to celebrate by eating some really great burgers this month and will be capping the whole thing off by eating my 100th unique burger here in Philly (meaning I’ll have eaten a burger at 100 different places around town; clearly I’ve eaten more than 100 burgers, guys! ), so stay tuned for a special post highlighting that. 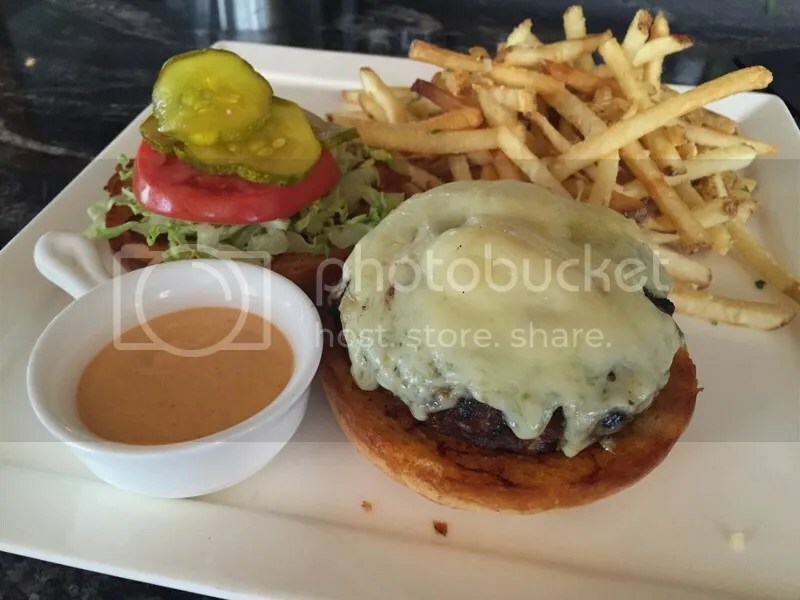 Kicking things off this week is the burger at Square 1682, inside in the Hotel Palomar. Available only on their daily lunch menu, the 1682 burger comes topped with Amish cheddar, bread & butter pickles, lettuce & tomato. I ordered the burger medium, but it came out more on the medium-well side; there was a burst of bloody juice on the first bite but very little pink on the inside. The meat was flavorful, but would have been better cooked at my requested temperature. The outside of the patty had a nice char to it and made it taste like a Burger King Whopper, which I liked. The Amish Cheddar had a great flavor – slightly sharp but also very creamy. And I loved the sweet & sour flavors of the bread & butter pickles. The burger to bun ratio was on point, with the bun being slightly toasted. I tried a little bit of the chipotle aioli on a few bites, but didn’t really care for it and stuck with my go-to condiment of choice, ketchup. The lunch menu also features the Rittenhouse burger, topped with avocado, arugula, sprouts, tomato jam and local goat cheese, and the weekend brunch menu has a breakfast burger topped with Lancaster aged cheddar, pork roll, fried egg, onion rings! There’s a little something for every burger lover, so stop by and try one – or all three! Posted in buns, burger, burgers, cheddar, cheese, Kimpton, National Burger Month, pickles, square 1682. Bookmark the permalink.